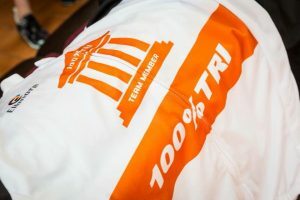 All 100% Tri team kit and clothing is now available to purchase online through our kit partner “Ellmore Clothing”. The founder, Dan Ellmore, is a racing cyclist and former secret squirrel team member for the GB Olympic squad. He has over 15 years of experience in supplying cycling clothing and triathlon clothing. All team clothing is designed with racing in mind. All sizing and current designs are on the Ellmore Clothng website.Payment will be required when the order is placed, all items are made to order and delivered directly to you.